No matter the size of your campaign, Goldman Exploration's experts are ready to support you! 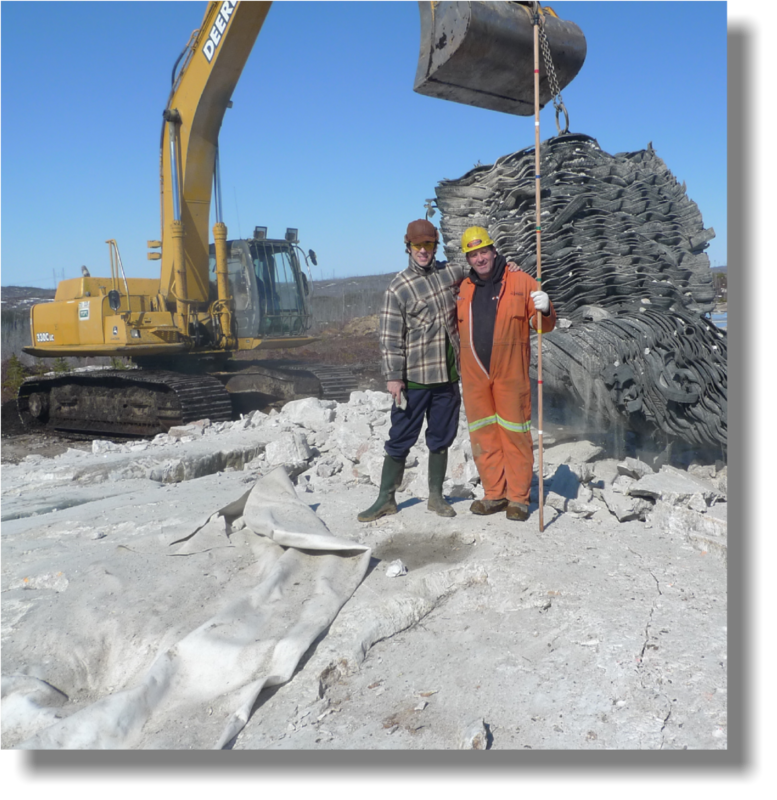 Being a leader in blasting in the province of Quebec, Goldman Exploration offers you a wide range of professional blasting and drilling services tailored to your needs. Security of each drilling & blasting operation and respect of all project deadlines are Goldman Exploration's priority. 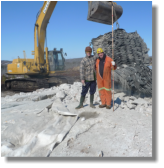 You can always count on our expertise and our knowledge in leading exploration campaigns (bulks sample, sampling and trenching) or production needs. Goldman Exploration also provides blasting & drilling services in quarries. 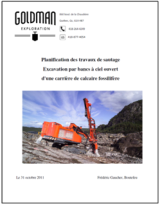 Report (PDF) of drilling and blasting for a career mining 4000 tons / day. Open pit Operation. Mining exploration blasts, realised by Goldman Exploration Drilling and Blasting work; Bulk Sample in a pegmatite with spodumène (Lithium). Nemiscau, Qc, Canada. 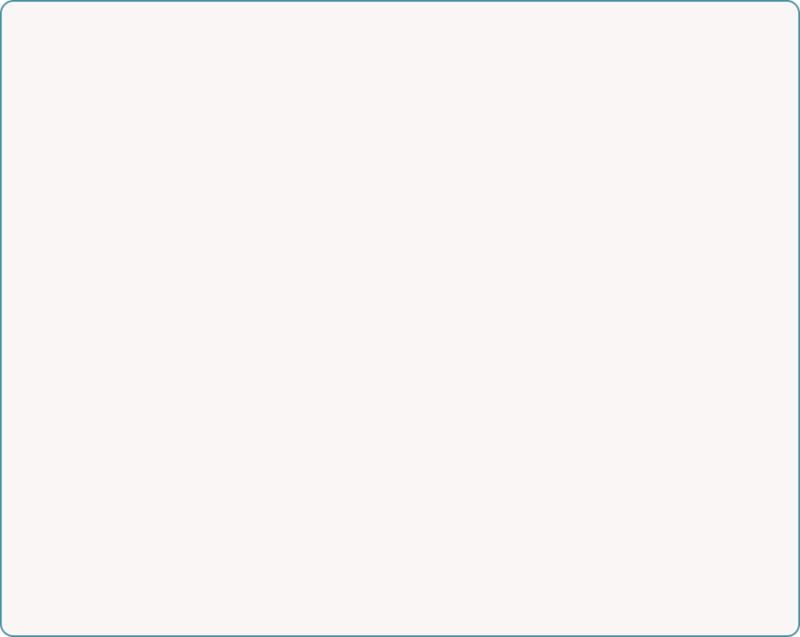 Goldman Exploration is a Canadian company that holds all provincial and federal permits and insurances prescribed by law regarding explosives and transportation of dangerous goods. Our crew members are professional, experienced and certified blasters monitored by police officers for maximum security policy. Frédéric Gaucher, B.Sc., Blaster and president.